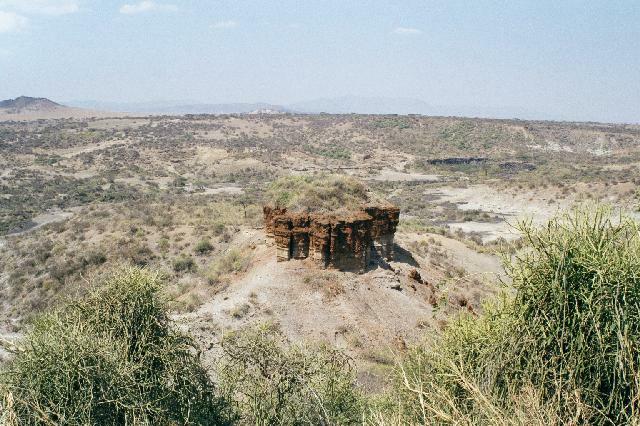 Olduvai Gorge is situated just off the road from Ngorongoro to Serengeti, that is if you don't mind calling the vegetation less series of potholes as a road. 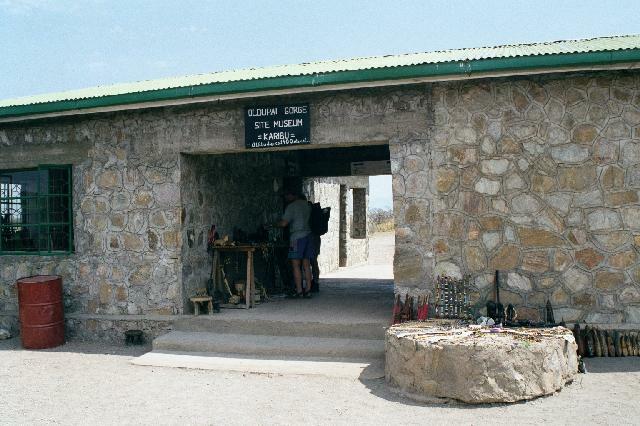 If you start your journey to Serengeti from Manyara sometime early in the morning, Olduvai would be the perfect stopover to have your packed lunch. The name is actually a corrupted version of the Masaai word for a type of shrub which grows abundantly in this area : Oldpai. It is here that the famed footprints of the 3-4 million year old hominids were found. The footprints have now been carefully covered, but one can still see their casts in a few museums (Nairobi national museum and the Oldpai museum itself, to name a couple) One Ms. Mary Leaky has done commendable work to unearth many secrets of our (human, that is) history. The oldpai museum, located close to the site, houses most of her works including skulls and stone tools from five different periods of human evolution. Visiting this museum is a must if you are interested to know more about Australopithecus, Homo Habilis, Homo Erectus and ourselves, the Sapiens. 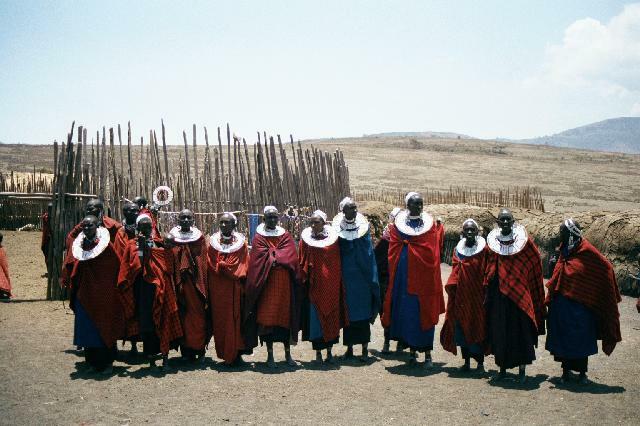 The route from the crater to the plains also presents a good opportunity to meet the Masaai and to get a first hand insight into their lives. The entry fee to any of the Masaai 'village' is 10US and this is the only place where you are allowed to capture the images of these colourful people on film. A typical village, the one that I visited that is, has about four score people living in about a dozen houses. The 80 people had only 4 families between them. 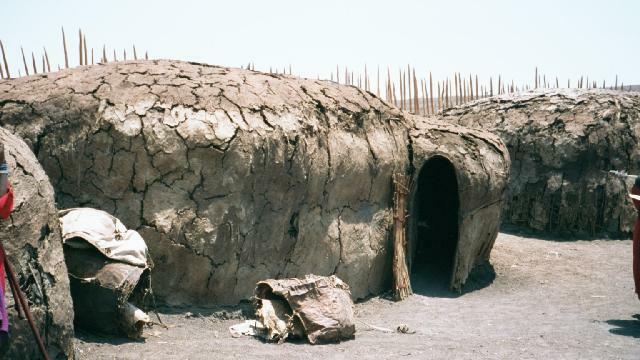 The houses, made of cow dung, are very poorly lighted and ventilated. But still don't miss a chance to see these things from the inside. Only women are employed in building the houses, while the men, the warriors as they like to call themselves, take care of the livestock. A masaai boy becomes a warrior after enduring the circumcision ceremony with a smiling face and spending a few years in the wild. This typically happens around the age of 8 and seeing these young lads fending for themselves in the harsh conditions makes you realise how kind life has been towards you. The boy is also expected to prove his worth by either killing a lion or hunting a set of exotic birds. The lions, especially the old or injured ones, are a constant threat to their cattle and hence a Masaai, in these days, constantly gets into a lot of trouble with the government authorities for killing the protected species. Cattle is the source of nourishment and wealth for the Masaai. An average male drinks about a litre of cow's milk and a litre of cow's blood a day. Beef is the most common meat and the cow is also a unit of money. The thing that strikes you most in a Masaai village is the poor sanitation and medical facilities. Due to the kind of weapons these people use and the kind of lives that they lead, one normally ends up seeing a few really bad wounds among the villagers. Lack of infrastructure and know-how would be the bigger reasons than lack of money for the poor medical facilities, especially when you consider the number of visitors that these people have per day all round the year. In fact these villages are so used to hosting people from all parts of the world that communication with any of the villagers is never a problem - most of them speak wonderful English.